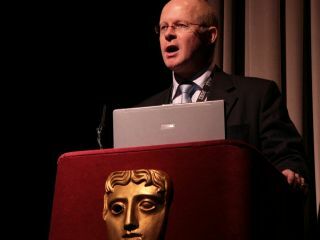 Following news earlier this week that British games developers were less than impressed with Lord Carter's recent interim report on Digital Britain, games publishers' trade body ELSPA have also expressed a few reservations about the Government's report. "We appreciate the Government's ambition to roll out universal broadband throughout the UK, as laid out in Lord Carter's interim report," said Michael Rawlinson, MD of ELSPA, the UK's leading trade organisation representing games publishers. "This will help the games industry as it moves increasingly online," he added. ELSPA does have some reservations about Lord Carter's initial recommendations in the interim report published last week. Notably, Rawlinson says that the games publishers' trade body has "concerns that the 2Mbps broadband speed proposed is too slow, and we look forward to speaking to the Government about this, and more, in due course." TechRadar cannot agree more. When 50Mbps (and faster) broadband services are already the norm in many countries in the Far East, and companies such as Virgin Media are already starting to roll out 50Mbps broadband in the UK, the suggestion that all should have access to 2Mbps service in 2012 seems a little retrograde. "Overall we welcome the report which is certainly a step in the right direction as more of us play - and buy - our videogames online."